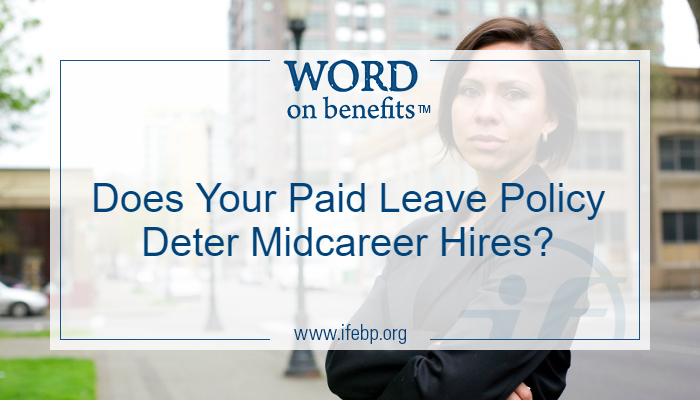 Does Your Paid Leave Policy Deter Midcareer Hires? 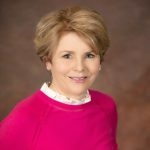 Does Your Paid Leave Policy Deter Midcareer Hires? Does Your Paid Leave Policy Deter Midcareer Hires? She is starting over. She brings a proven record, enthusiasm and a couple decades of experience. Her competition is likely a new graduate or perhaps someone with a couple years of experience who has not yet accrued weeks of paid vacation. Your first-choice candidate, who can hit the ground running, is willing to take a step back in her salary. She may be willing to sacrifice some of the paid vacation time she earned over her career, but will she accept the position if she has to completely start over in terms of paid leave? Employers may find that offering midcareer hires a few more paid days off may be the secret to landing the candidates they most want. 33.9% are offered additional paid time off (PTO) on a case-by-case basis. 20.1% are offered the option to take unpaid days. 10.3% are provided additional paid time off based on position. 8.7% are offered additional paid time off based on relevant experience and skill level. 2% are offered the option to purchase additional time off. Paid holidays—497 organizations offer 28 different paid holidays. Paid floating holidays—43.6% offer between one and five paid floating holidays annually. Paid sick days—More than three out of four respondents allow sick leave to be used for illness, medical appointment, care of a sick child, dental appointments, care of a spouse or domestic partner, and maternity leave. Paid bereavement days—82.5% of respondents offer bereavement leave in a separate plan. Paid time off to attend a child’s activities—11.9% offer through a plan other than a PTO plan. As a recent midcareer hire myself, I am happy that I looked beyond the printed vacation policy when determining if “starting over” was worth it. I know I made the right decision!